It took person-to-person SMS just a few years to skyrocket and fall by the wayside to OTT-messaging. Despite that development, a variety of industries has discovered and embraced the vast opportunities of Application-to-Person (A2P) messaging. In their report SMS Wholesale Special: The A-to-Z of A2P Capacity Magazine sums up the results of mobile messaging and forecasts worldwide revenues. Although P2P SMS Messaging has rapidly declined since Whatsapp, Telegram, Viber, WeChat came in, A2P messaging grew steadily, thanks to easy-to-setup applications that allow fast notifications and alerts through SMS. Deloitte predicted these results in their 2013 report TMT Predictions 2014. “We expect SMS will amply overcome OTT service if it comes to revenue”, said Paul Lee, Duncan Stewart and Jolyon Barker of Deloitte. Capacity Magazine pinpoints five specific industries to watch if it comes to growth in A2P SMS revenues. Transport and Logistics, Healthcare, Banking and Finance, Retail and Hospitality and – ironically – OTT players are industries that will be revenue growers for SMS service providers and operators, for example through their authentication process, which is handled merely using SMS. 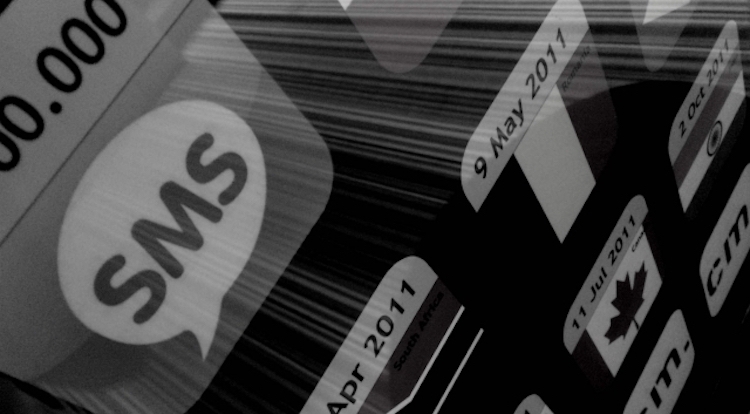 Total global SMS revenues decline from 133,9 billion dollar to 132,1 billion dollar. A2P and P2A SMS revenues increase with 4,5%, from 48,2 billion dollars to 50,4 billion dollars. In total, 38% of the SMS traffic worldwide comes from A2P and P2A traffic. A2P is especially popular in Europe and North America. Biggest grow markets however are parts of Asia, Africa and Latin America, which are embracing mobile developments. A2P traffic will double in the next five years in Sub Saharan Africa.